Results beat expectations. BAuto reported 3QFY19 earnings of RM81m, which brought 9MFY19 earnings to RM205m. This was well ahead of both our forecast and consensus accounting for 90% and 100% of estimates respectively. A generous interim dividend of 4.5sen was declared, brining 9MFY19 dividends to 10.75sen (+99%yoy), representing a 61% payout ratio. Record quarterly earnings. BAuto’s 3QFY19 net profit of RM81m (+100%yoy) is a new record high quarterly earnings for the group. Volumes outperformed our earlier expectations given stronger than expected post tax-holiday sales. The majority are SST-tied sales where SST for bookings made before 1st September 2018 but delivered after that, is absorbed by BAuto. These orders have been fully run down in 3QFY19. As highlighted in our previous note, the decision to absorb SST had little impact on margins as this was offset by a reduction in dealer incentives, while the new SST mechanism (which exempts localised components) helped reduce the rebate-cost further. Normalisation expected. We would expect demand to normalise moving into 4QFY19 as BAuto is no longer extending the SST-rebate offer, while dealer incentives and A&P spending normalises. Nonetheless, outstanding bookings still stand at around 2K units (65% comprise of the CX5). The group has hedged forex exposure up till Apr19 at RM3.70:JPY(x1000). Forecast revision. Given the stronger than expected performance, we raise our FY19F Mazda TIV to 15K (from 13K previously). Management is looking to maintain volumes at 15K-16K in FY20F, which will be supported by launches of the CX8, new Mazda 3 and the all-new CX30 (positioned below the CX5). Our FY19F/20F is raised 14%/10% to factor in the higher domestic TIV forecasts, which also reflects in higher associate earnings from 30%-owned Mazda Malaysia (assembly arm) and 29%-owned Inokom (contract manufacturer). This is partly offset by lower forecasts for 60%-owned BAuto Philippines (BAP) which has been affected by higher excise duties since early-CY18. Recommendation. 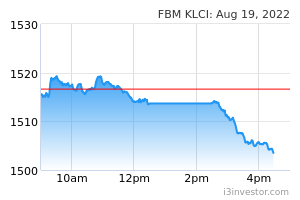 Re-affirm BUY on BAuto at higher TP of RM2.85 (from RM2.70), following the upward revision to forecasts. From a valuation standpoint, BAuto is cheap at just 10x CY19F earnings (against an 83%yoy FY19F earnings growth), while dividend yield of 7% is attractive. 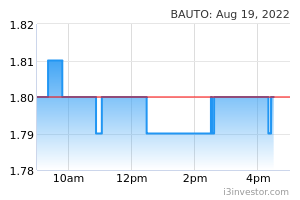 BAuto is an entrepreneur driven, highly cash generative assetlight business while the capex-intensive manufacturing unit is parked under 30%-owned MMSB and is kept off-balance sheet. MMSB itself is already self-funding. Manufacturing capex has peaked having built up production capacity to 34K units/annum (on 2-shift) – FY19F-20F is mostly about monetising this incremental capacity via new models i.e. CX5 and CX8 and export expansion to South East Asia ex-Vietnam.